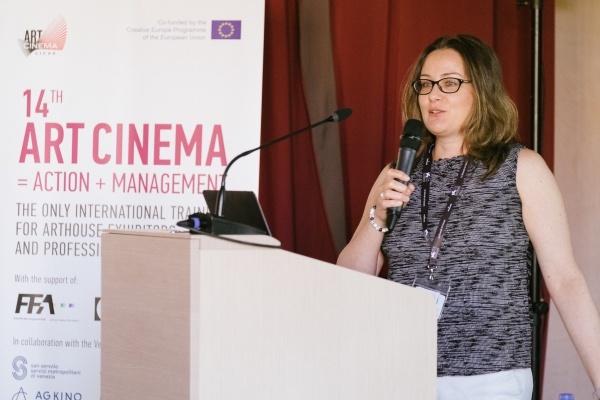 The 14th edition of the Art Cinema Action + Management training course, which took place from August 28 to September 4, was a successful and intense learning week. 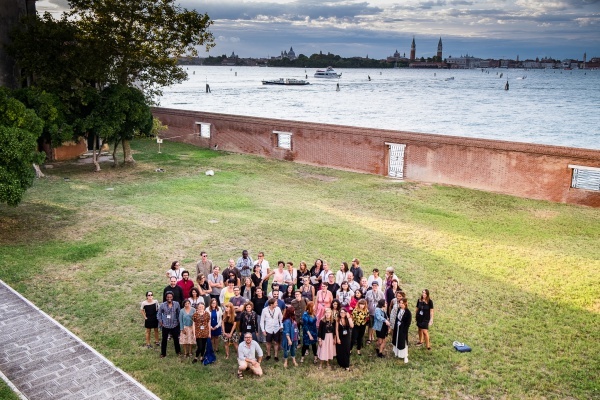 Gathering about 100 professionals of the film industry – training participants, trainers and tutors – coming from 26 different countries from all over the world, the course was held once again on the peaceful and tiny island of San Servolo: the former mental sanitarium, today congress centre, which stands 10 minutes far with the boat from the Venice Film Festival’s location. In this past edition, the ACAM training programme welcomed trainees from several countries of the European Union, but also from far away, like Chile, Nigeria, South Korea, Canada, Russia and Egypt. Not only could these participants learn working methods and get insights about the European film industry, but they had the chance to show new perspectives and point of views of their own country to their European colleagues. 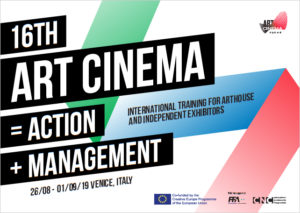 Main goal of ACAM is to give to the art cinema exhibitors in Europe and in the world the right tools and best practices to successfully manage their cinema theatres and film festivals. 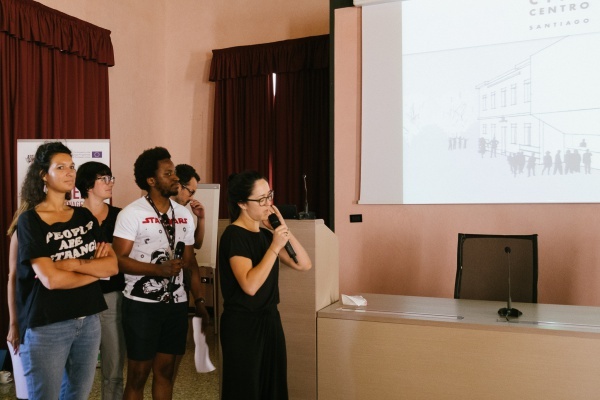 In addition to this, every year the island of San Servolo becomes the stage where all the participants can meet and exchange opinions, experiences and build a network of cinema peers which can help strengthen the art cinema scene. Beside attending classic lectures which stretched from economy of art exhibition to business planning, from team management to marketing workshop, the participants of the 14th ACAM training could also be inspired by the success stories of other cinema exhibitors: this year we welcomed guests from Cineteca di Bologna, Katuaq cinema in Greenland, Urania Film Theatre in Budapest, Vendanges du 7e art in France and the former Kino Sheryl in Finland. Furthermore, all participants dived into practice with 2 workshops: 1 for the junior session, where they were asked to think on how to (re)start a cinema and 1 for the executive session, the Cinema Experience, an attempt to pitch and get potential funding to support an extra event, such as the European Art Cinema Day, within their companies. The trainees did a wonderful job, challenging themselves and bringing to light many interesting ideas on how to rethink a cinema and how to find the most creative ideas to enrich their cinemas with further activities, beside screening films. 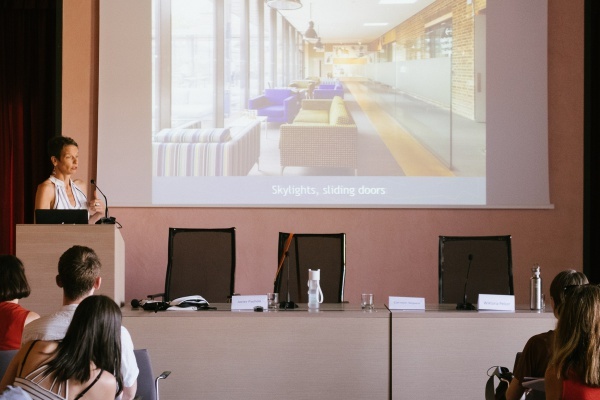 New to the programme was the executive session’s workshop and 1 of the two panels which hopefully will develop even further and bring the discussion to the next level. 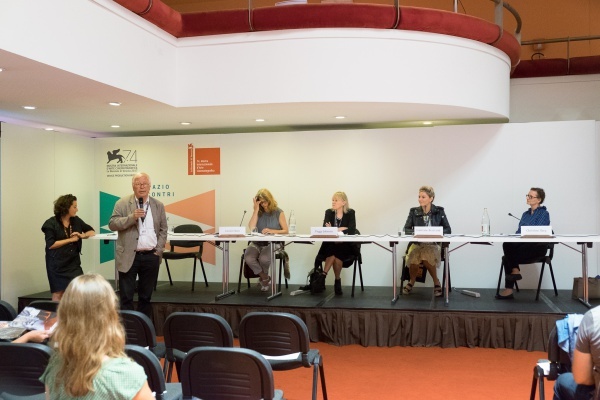 In fact “Green cinemas”’s panel was introduced as new topic in 2016 training’s programme, but the structure changed, expanding the contents discussed during the session; “Women in film industry” was the brand new topic discussed in an open panel on Lido, at the Venice Production Bridge. In the first panel discussion three professionals, Javier Pachón from Cineciutat in Mallorca (Spain), Carmen Slijpen (UK) and Wiktoria Pelzer (Austria) exchanged their best practices and made some reflections regarding the possible ways to be sustainable while running an eco-friendly cinema. 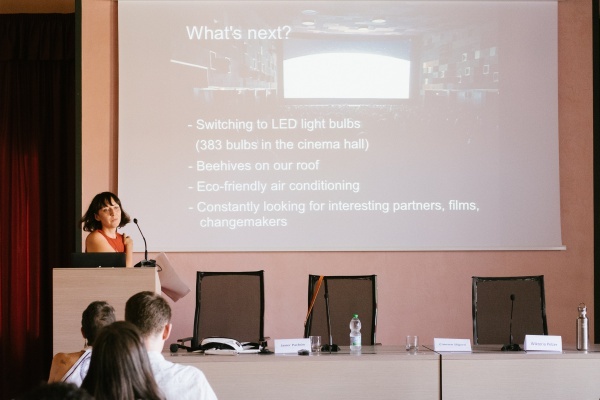 On one hand, Carmen Slijpen (herself a trainee in 2016) presented her own cinema, the Lewes Depot, a completely new building opened in May 2017, which was granted private funding, allowing her and her team to build an energy-efficient theatre. On the other hand, Wiktoria Pelzer, who works for Gartenbaukino in Vienna, explained the path taken by her company to implement as many eco-friendly initiative as they could. 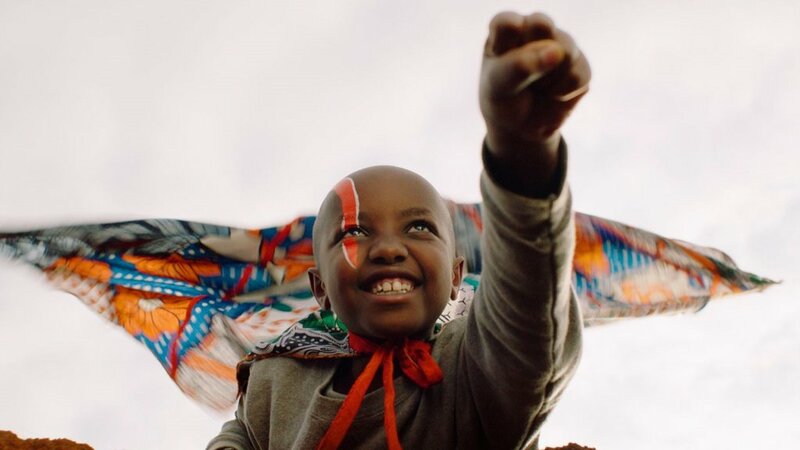 These 2 examples were taken as examples to introduce the important theme of renewable and green energy in the art exhibition as a new trend that any cinema should follow. 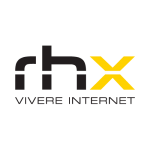 One of the CICAE’s purpose would be the creation of a consistent database of best practices, as well as reliable suppliers to whom any European art cinema could refer to in order to apply “green” solutions. If you have any suggestion or tip concerning eco-friendly and green practice, please send an email to info@cicae.org. The second panel discussion on Women in film industry took place at the Excelsior Hotel, within the framework of the Venice Production Bridge. Moderated by Catherine Champeyrol, director of BEAUTEMPS (FR), the discussion focused on the current condition of women in film industry. The panel included women from different countries and positions to discuss this issue: Christine Berg, Chief Operation Officer of the national film fund FFA (Germany); Peggy Johnson, director of the Loft Cinema and the Loft Film Fest (USA); Lucia Recalde, head of unit of the Creative Europe MEDIA Programme; and Carola Stern, distributor and training organizer at FOCAL (Switzerland). Next year the CICAE will celebrate its 15th anniversary of the ACAM training programme. 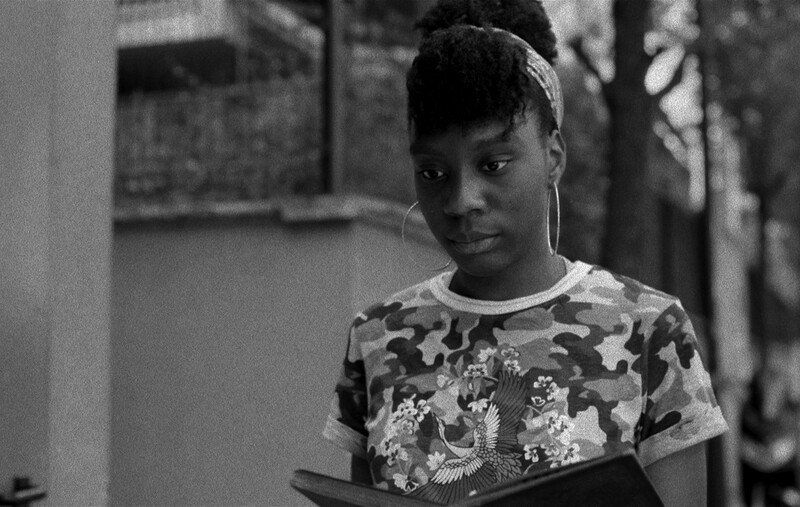 The course will take place at the end of August 2018 in Venice; first round of submissions will open next January 2018. 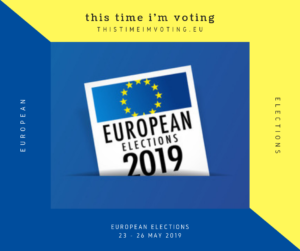 We highly recommend anyone from non-EU countries, interested in applying, to submit their application in the first round in order to access any possible grant and scholarship available on time. For further information, please visit the official training programme’s page.